INEA has received 200 project proposals requesting over €810 million by yesterday's deadline of three Competitive Low-Carbon Energy topics, for which the total available budget is €94.5 million. Projects to be selected for funding are expected to develop the next generation of renewable energy technologies or investigate social, economic and human aspects of the energy system. The results of their evaluation will be known by the end of March 2017, and pre-selected projects will be then invited to submit full project proposals with a deadline on 22 August 2017. The LCE-06-2017 topic, with a total budget of €20 million, will support projects focusing on new knowledge and technologies in the area of renewable energy, wind energy and sustainable fuels. In total, 77 proposals requesting €300 million were submitted under this topic. 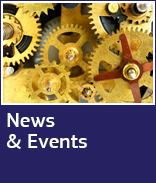 The LCE-07-2016-2017 topic targets projects developing the next generation technologies for renewable electricity as well as heating and cooling. By yesterday's deadline, INEA had received 105 projects proposals worth €445 million. The available funding is €64.5 million. The third topic, LCE-31-2016-2017, focuses on Social Sciences and Humanities support for the Energy Union. The topic's budget is €10 million, whereas the total requested EU contribution amounts to over €65 million in 18 submitted proposals. Projects will be selected in two stages: the primary evaluation will be concluded by the end of March 2017. Soon after, the successful applicants will be invited to submit a full proposal with a deadline on 22 August 2017. 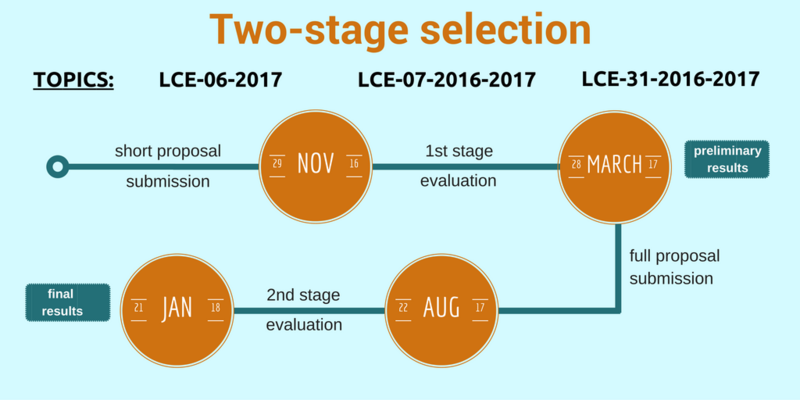 The second-stage evaluation will take up to five months, after which – at latest at the end of January 2018 – the final results will be announced. Evaluators of project proposals are drawn from the European Commission's independent expert database. The Commission is looking to expand the database through a call for experts covering a very broad range of fields. If you fit the profile and would like to be considered for evaluations, please sign up in the Participant Portal. Submitted project proposals will be evaluated in a two-stage selection process. The final results will be announced in January 2018.